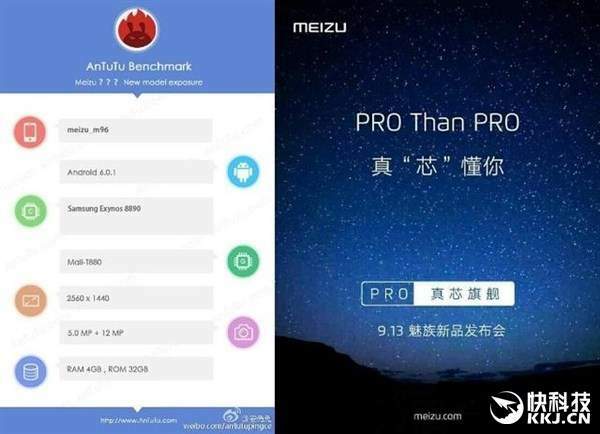 Just a few weeks back, the company has launched its MeizuPro 6. the upcoming smartphone is the successor of Pro 6. the upcoming smartphone is said to be MeizuPro7. the specs of the device has been leaked online. The company doesn’t want that like the Pro 6 model of this series; the model also got rejected in the market. The specs of the Pro 7 are not very different. The smartphone has an Exynos 8890 chipset. Pro 7 features a 2K HD display for the smartphones. The size is still unknown, but it might come with a 5.7-inch screen. But it is expected that the product will be coupled with 4 GB RAM. The company might offer an internal memory of 32 GB which can expandable using a microSD card. It might also be possible that the company may be its 6 GB RAM variant. The device runs on Android OS Marshmallow v6.0.1 coupled with Meizu’s Flyme UI. Over the photography corner, the device has a primary camera of 12 megapixels with autofocus, phase detection, and timer. On the front, the device has a 5 megapixels camera for selfies and video calling. The company has given its mBack physical home button just below the display and this time it got little smaller. The power button, the volume up button and the volume down is located on the right side of the device. The phone will also be equipped with a fingerprint sensor with other sensors like proximity sensor, compass, and accelerometer sensor. The leaked images have a tagline ‘Pro than Pro’ and ‘true flagship fingertips’, which shows that the company is working really hard on this device so that it will be appreciated by the customers. The device is codenamed ‘Meizu_m96’ as we got this information from a working employee on this model. The company has already launched its M3E on 10 August and is having an event on Sept 3. And it is expected that this device will be launched on that day. Let’s wait for the launch and wait for the device to be unveiled on 3 Sept. For more info and query, leave a comment. Stay tuned and subscribe to our website.